Have you ever heard of Annie's Way? Well it's a mask brand from Taiwan whose founder is Annie Wu. It emphasizes on the use of high-quality essence which is made from natural ingredients and premium-quality mask sheet from Japan. Annie's Way products has become No. 1 Best Selling in Taobao Net (it's like e-bay in China) and is now available in more than 10 countries, few of them are China, Hong Kong, Malaysia, Taiwan, USA, Canada, and of course; Indonesia. 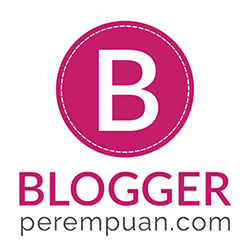 Let's review it one by one! Based on my problems, it's definitely true that my skin is lack of moisture. And it longs for one of the key ingredients that can lock in moisture; Hyaluronic acid. 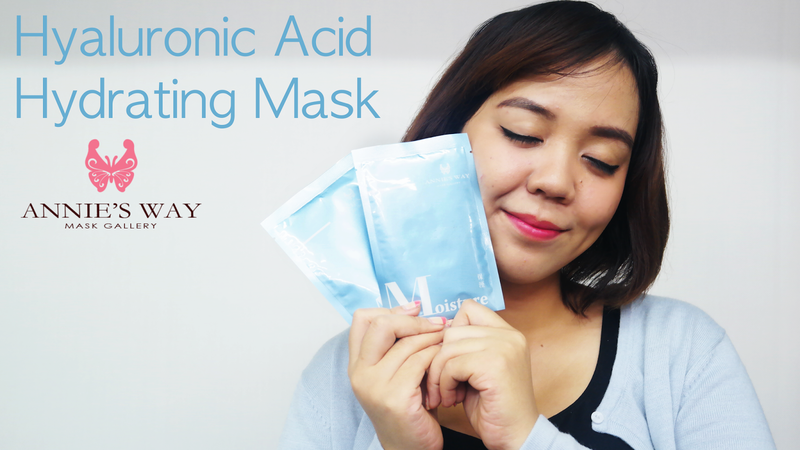 This Hyaluronic Acid Hydrating Mask contains Hyaluronic acid, Natural Moisturising Factor, Ccp-Collagen, Vitamin E, and Dipotassium glycyrrhizate. As for the last ingredient, some of you may not be familiar with. Actually it's botanical ingredients; licorice root extract. So, moisture: checked! Now let's banish the dullness on my face! I have some acne spots too, so I was thinking of something "whitening." Something which is identical with whitening is pearl. The object itself is usually white in color and yes, pearl has whitening function for our skin. 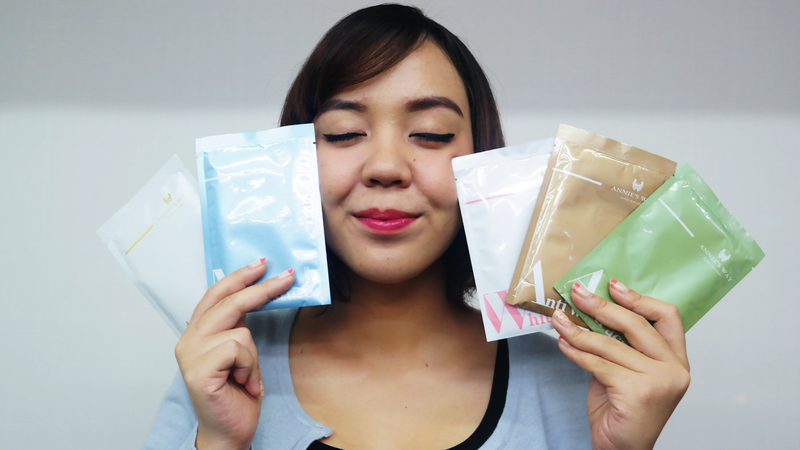 So, I tried Annie's Way Pearl Whitening Mask. It contains Pearl Hydrolyzed Solution, Magnesium Ascorbyl Phosphate, Mulberry Bark Extract, Hyaluronic Acid, and Dipotassium Glycyrrhizinate. I'm quite amazed by the ingredients because usually products which has whitening function dries up the skin. And this Pearl Whitening Mask contains some moisturizing ingredients like Hyaluronic Acid and Dipotassium Glycyrrhizinate. So, that's why we don't need to be afraid that it will dries up the skin. 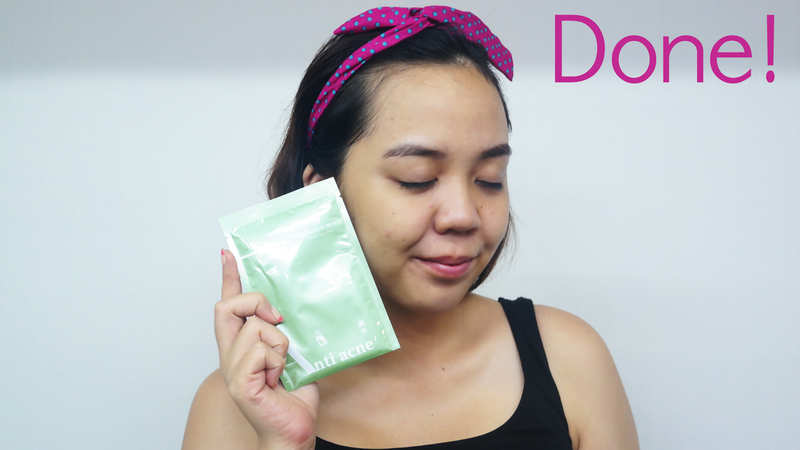 And it's true, my dry U-zone doesn't feel tight after using this mask (which usually happens when I use whitening products). 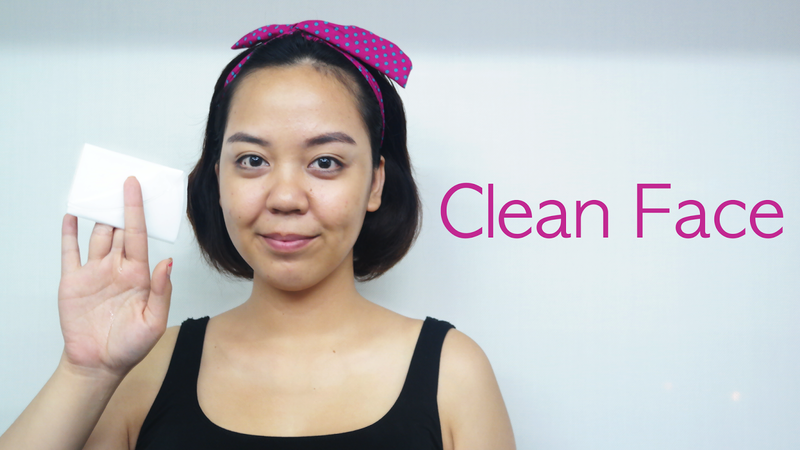 It improves skin elasticity, minimizes fine lines, and for sure; gives you that pinkish white look! And this is my NO. 1 problem hahaha. Isn't it look exactly like me? No, not the fatness. But the eyes. Lol, this is a never ending problem for me. And if I don't treat it from now, those dark under-eyes will develop into early WRINKLE! That's real life horror. 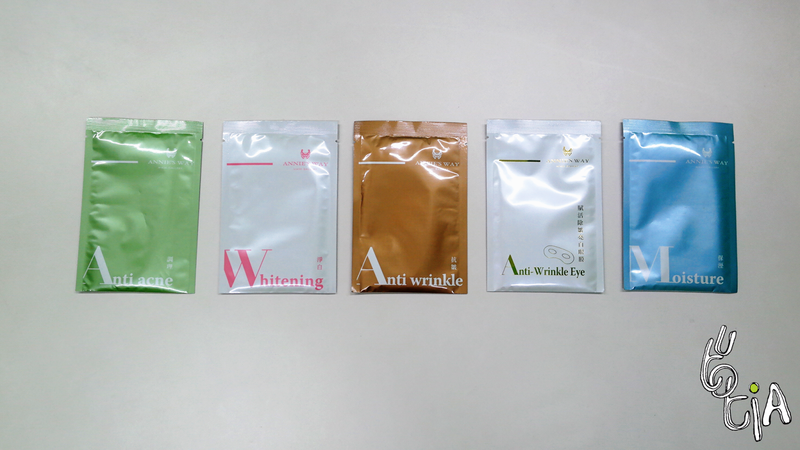 So I was excited to try Annie's Way Anti-Wrinkle Eye Mask. It contains Marine Collagen, Hyaluronic Acid, Ginkgo Extract, Mulberry Bark Extract, Vitamin E, and Squalene. It is especially formulated to treat dry and wrinkle-prone area around eyes. And it helps with dark under-eye circle as it contains Mulberry Bark Extract to brighten up the darkened area. After using this I feel that area around eyes is relieved. So fresh! 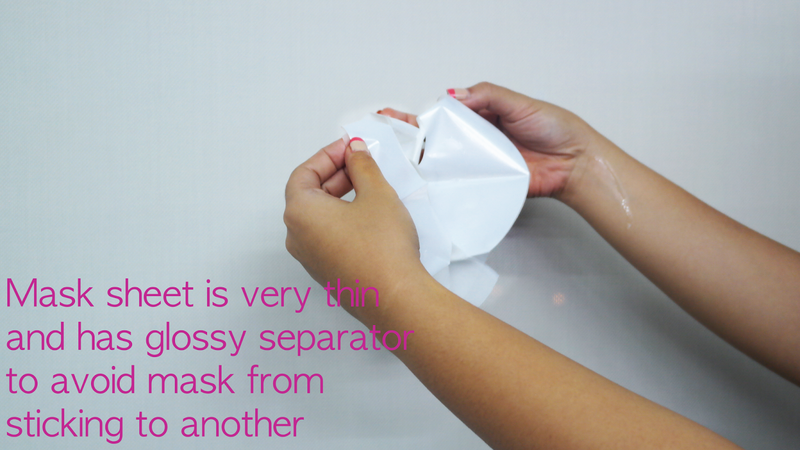 This mask; 3D Elasticity Lift Up Mask, is one of the products in SUPREME mask sheet. It contain Argireline, Antarctinine, Marine Collagen, Hyaluronic Acid, Lecithin, and Dipotassium Glycyrrhizinate. The first ingredients is actually a top ingredient for skin. Argireline prevents the formation of expression wrinkles by inhibiting muscle movement. And that's why it sometimes called as "Botox in a jar." What's unique is we can resize the elastic sheet according to our face by attaching to both ears. 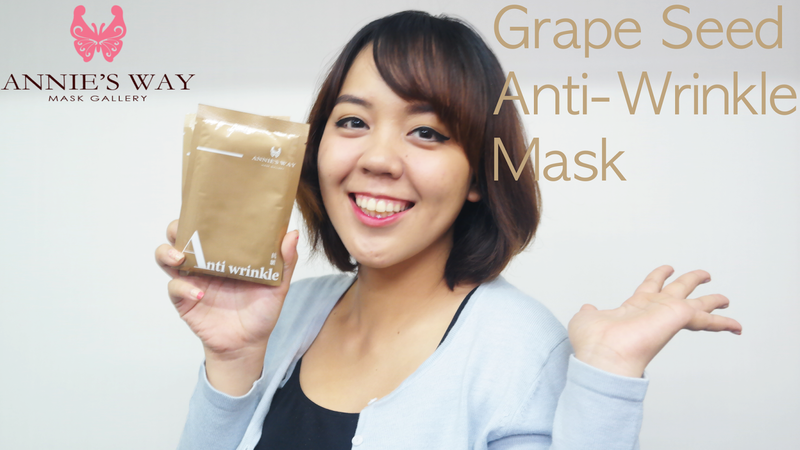 Another anti-wrinkle mask is Grape Seed Anti-Wrinkle Mask! Haha, fighting early aging is important especially I'm entering 25 year-old age this year. With all those stress and pollution, of course it's first priority! It contains Grape Seed Oil, Hyaluronic Acid, Vitamin E, Soy Extract, Peony Root Extract. 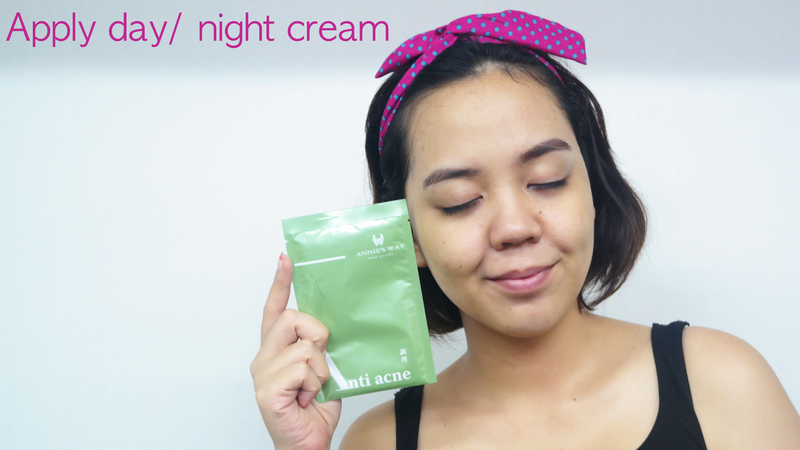 The effect is instantly felt by me, it refreshed my face and it's like all-in-one mask. And here it comes my most favorite mask! Haha. Acne is like everybody-has-it-problem, and so am I. 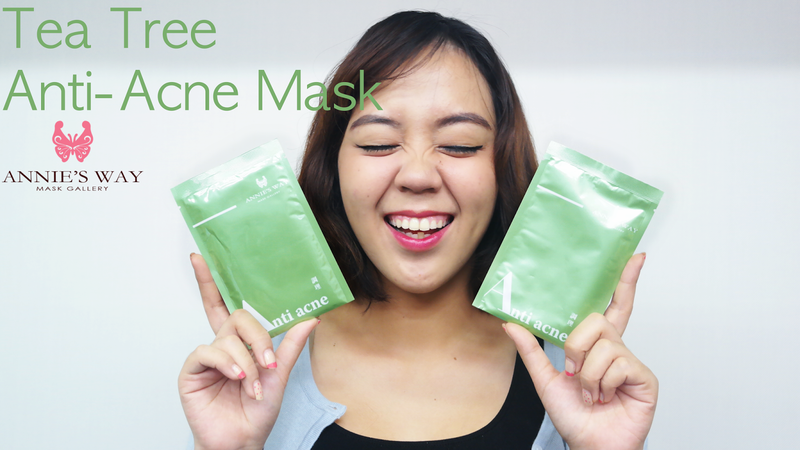 And I got a change to try the Tea Tree Anti Acne Mask. 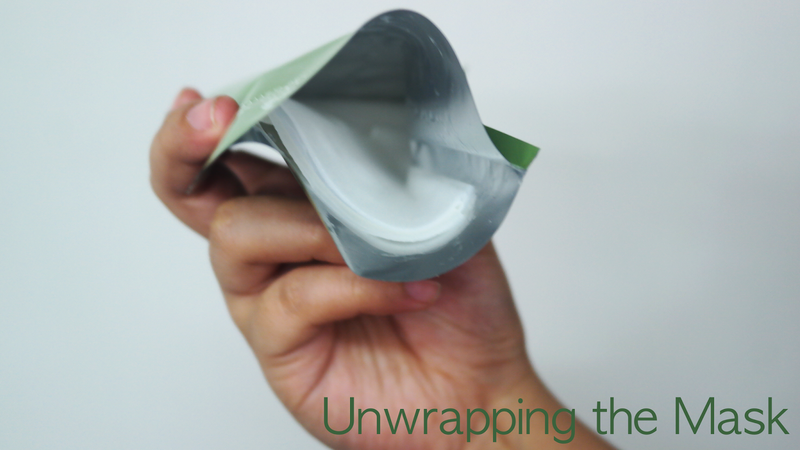 It contains Tea Tree Extract, White Tea Extract, Green Tea Extract, Biorusol, and Lappa Extract. Tea tree oil extract deep cleanses skin, removing deep seated dirt and oily secretions, clearing clogged pores to give your skin a clean refreshing radiant look and feel. I really love the nice and soft scent of the mask! I'm using it and some of my acne are still inflamed. Overall, I really love how thin the sheet is. Do you know that the thinner the sheet, the better the absorption is? Also, the scent of all masks are all nice. Actually my nose is a bit sensitive to some fragrance, and I don't have any reaction when I am wearing this. 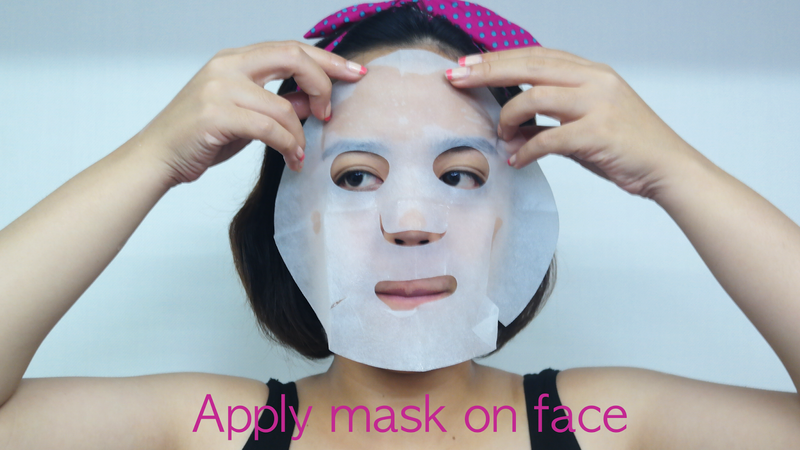 Also the mask does give instant result, my face feel so refreshed and supple after using the mask. 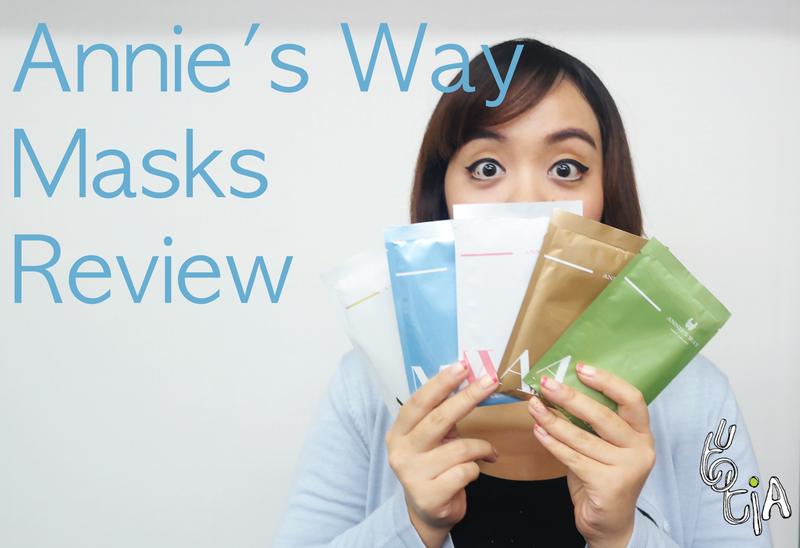 So, for those of you who's looking for sheet mask, I recommend you to try Annie's Way Mask that you can purchase online here: Annie's Way Mask Indonesia. Gw juga pake tia wktu itu sblm.harga.naik..muahahaa. 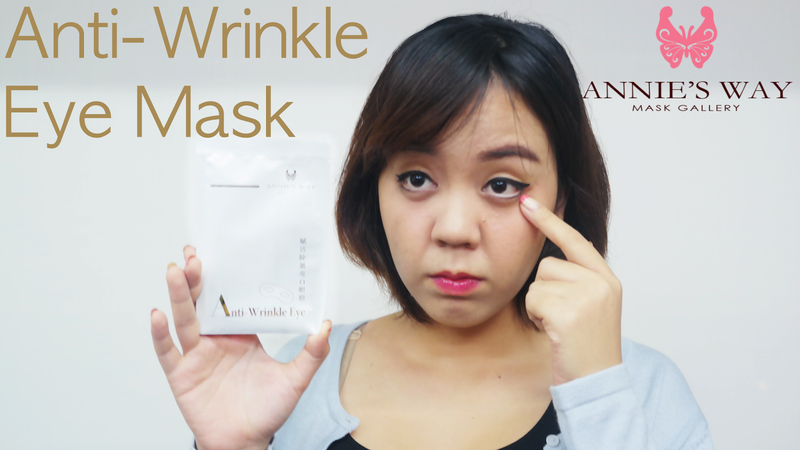 Yg buat mata itu gw blm..
Tiaaa kamu cantik banget.. Eeeh si annie mask ini emang ada yang versi gel mask nya ya? ?